Do your students need a hands-on manipulative that they can work with to manipulate numbers in the correct place values? 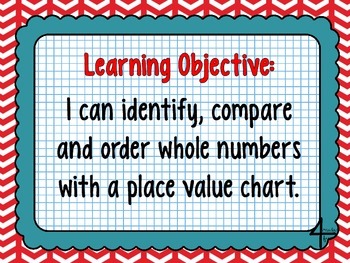 This flippable is perfect to use for this and keep inside their Interactive Notebooks. I have the students store their numbers behind the flippable in a half envelope made into a pocket. 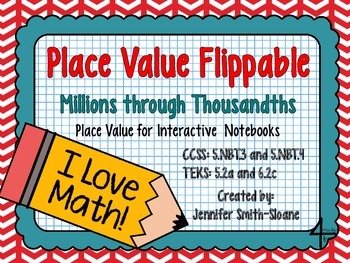 You can see an example by visiting my Blog Post: “Place Value Flippable Gets a Makeover” to see the revamp from 2013 with a link to the original post from september 2012. 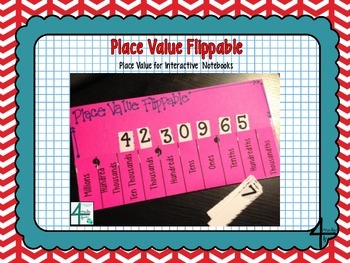 Looking for a Place Value Mat to use in tandem with your Flippable? Check out my Freebie Library to grab that today for FREE! 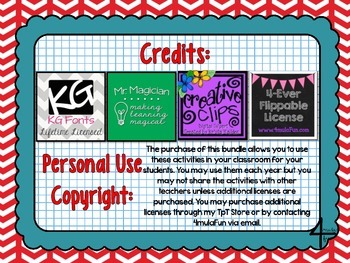 Personal Copyright: The purchase of this product allows you to use these activities in your personal classroom for your students. You may continue to use them each year but you may not share the activities with other teachers unless additional licenses are purchased. Please contact me via email for additional licenses. District Licenses are also available.